Join the Dots, created by Upswing, is an innovative peer review method that exists to enable circus, theatre and performance companies to evaluate their creative practice. 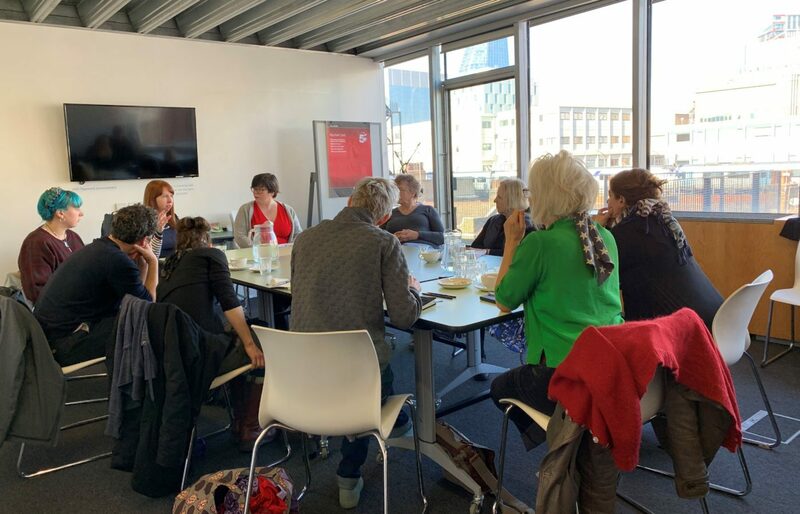 It is a collaborative approach to gathering feedback, where artists and companies ask a panel of peers to critically analyse certain aspects of a recent piece of work they have created. What is the process of Join the Dots? A panel of collaborators, partners and critical friends come together to evaluate and provide feedback on a recent piece of the companies work. The process is facilitated by another industry peer, who has not seen the piece of work being discussed, and can therefore remain impartial and curious. The panel are asked to consider three aspects of this recent work, and discuss its place within the wider circus, theatre and performance ecology. Coming from a range of perspectives, the panel are in a unique position to give important perspectives which enable the company to enhance the quality of their work, and are all committed to supporting artists and practitioners to push the boundaries of their art form. The process was designed by Upswing in 2014 as a collaborative approach to gathering feedback on a recent piece of work. The Join the Dots Framework has now been adapted to work with outside companies and artists, with considerable freedom to implement and develop a bespoke model that best fits the priorities and needs of any artist or company.